Argan Infusion: GeraniumArgan Infusion Geranium balances, decongests and combats first signs of aging, while boosting radiance. Best for dehydrated, dull, combination skin types. This luxurious oil is to be used morning night, in place of a serum & moisturizer. Morning: After washing your face, use 3-4 Drops, either alone or mixed in with your moisturizer. Night: After washing your face, use one full eyedropper vial. Soak your fingernails in one part Argan Infusion Geranium Oil and one part natural lemon juice for 5-10 minutes to naturally brighten your nail bed! Argan Infusion: LavenderArgan Infusion Lavender is intended for oily, sensitive skin to combat inflammation, acne, and redness. Skin is left looking calm, clear and healed from within. This luxurious oil is to be used morning night, in place of a serum & moisturizer. Use your Argan Infusion Lavender Oil on sunburns, bruises, and scratches to promote faster healing! Argan Infusion: Clary SageArgan Infusion Clary Sage is intended for thirsty,aging skin, with a loss of radiance and elasticity. Smooths, hydrates, and plumps mature, dry skin. This luxurious oil is to be used morning night, in place of a serum & moisturizer. Use your Argan Infusion Clary Sage Oil on sun spots and age spots to naturally brighten your complexion! 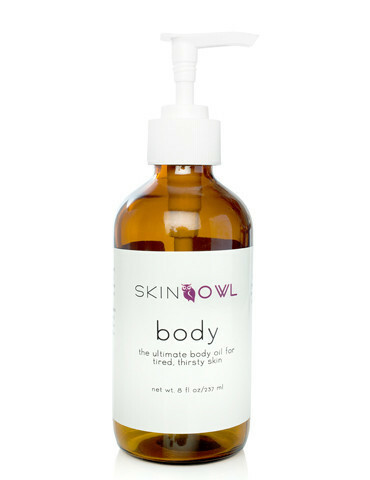 bodyBody is the ultimate body oil for tired, thirsty skin. Indulge in highly absorbent antioxidants and pure plant oils, intended to replenish and rejuvenate the skin from within. The perfect post-shower smoother to enhance your skin's natural radiance and visibly reduce the appearance of stretch marks, wrinkles, and dark spots. Mix your body oil with your favorite cream or liquid bronzer to give tired, sallow skin a brightened, glowing complexion. eye+Lightweight, effective, efficient, unique. 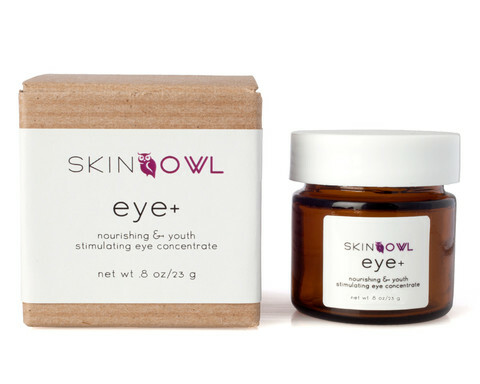 Hyaluronic Acid, periwinkle, and licorice ensure that deep penetration transform crepe-paper skin into healthy, resilient, and firm skin around your eyes. Cucumber depuffs. Aloe smooths and silkens. The ultimate concentrate to combat fatigued, tired, run-down skin. Dab around eyes, forehead and cheek area. Can be used as an all over face treatment. Safe to use morning and night. Can be used under makeup. Store in the refrigerator. Chilling the eye treatment will activate the cucumber enzymes and aid in increasing circulation and minimizing the appearance of lines and wrinkles. Also a great primer!